2017's Australia 1/10 Ounce Gold Kangaroos Are in the Vault and Ready to Bounce! The artisans at the Perth Mint have topped themselves yet again with the 2017 Kangaroo design, depicting our favorite marsupial bounding through the brush of an outback plain. Owning this legal-tender coin assures that you have 1/10 ounce of 99.99% pure gold in your hands, minted right in Perth as indicated by the "P" mintmark. 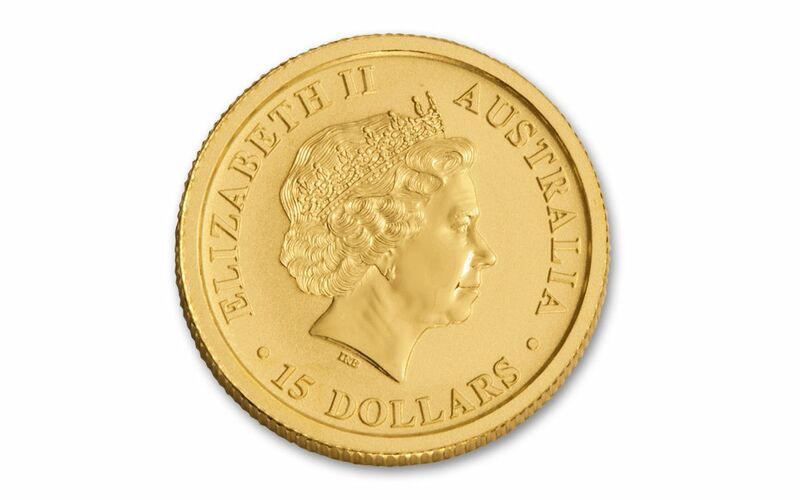 Flip your Australian Kangaroo over and you'll see Ian Rank-Broadley's effigy of Her Majesty Queen Elizabeth II, along with the engraved denomination of 15 dollars. 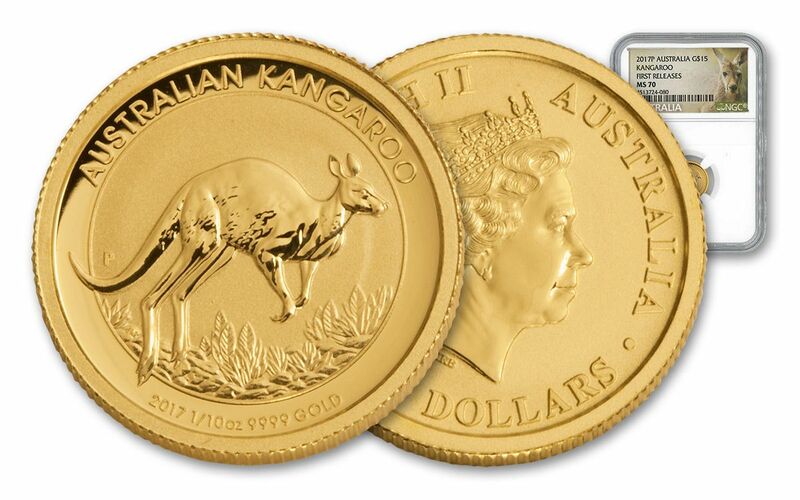 Even better, your 1/10 ounce Australian Gold Kangaroo will come with additional exciting features! 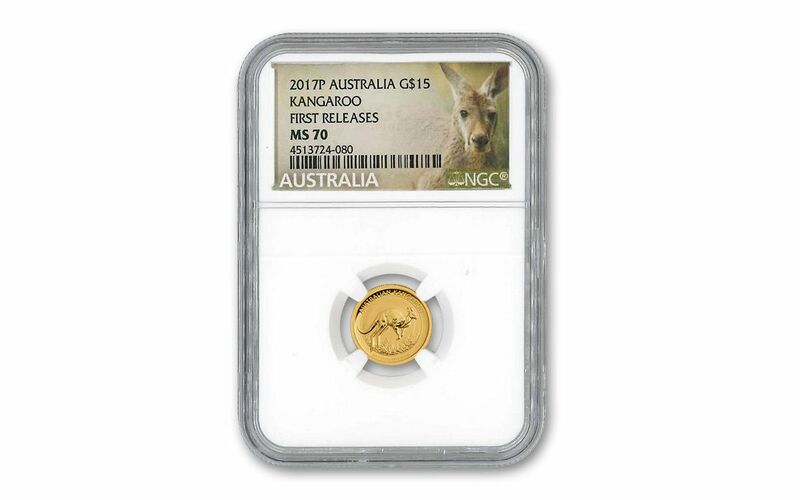 Your coin will be graded Mint State-70 (MS70) by Numismatic Guaranty Corporation (NGC), a distinction that means your perfectly-graded Kangaroo will have ZERO imperfections -- showing all features and fields exactly as the engraver and mint intended! Your Kangaroo will also be certified First Releases (FR) by NGC, meaning that your coin was among the first struck by the mint and was certified within the 30 days of issue. 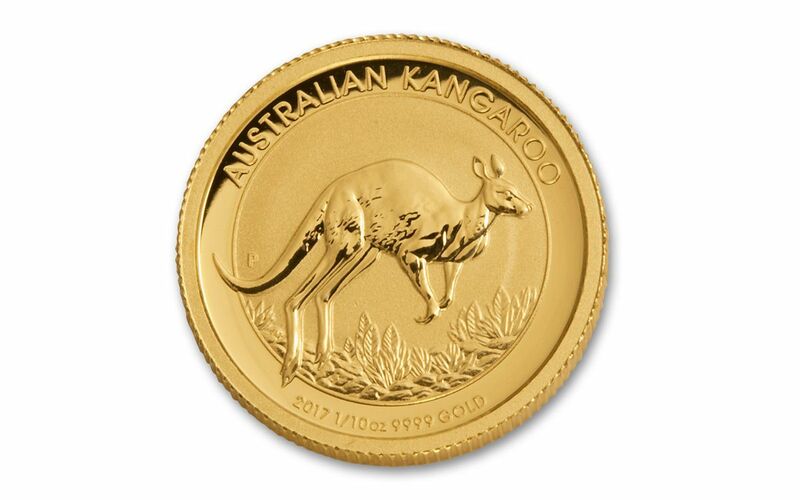 Australian Gold Kangaroos have always been a collectors' favorite, and with 2017's crisp and visually arresting design, we expect demand to jump quickly. Tie one (or several) of these Kangaroos down for your collection today!